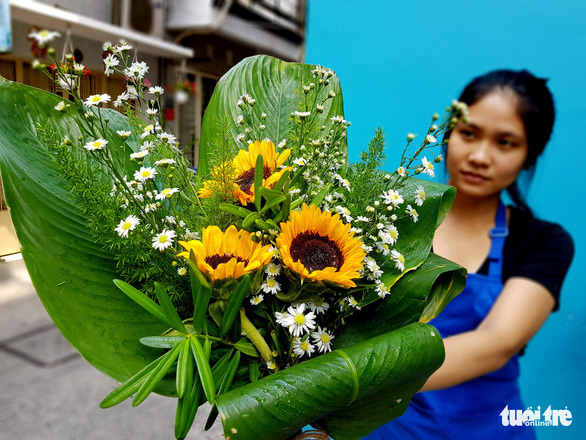 The florist, Nguyen Hong Viet, says he first began wrapping his bouquets in leaves after reading about a supermarket in the northern Thai province of Chiang Mai that’s switched from plastic to banana leaves in order to reduce waste. He said the bright-green color of dong leaves blends well with colorful flowers and compliments their beauty. Viet said his new dong wraps have received positive feedback from many customers, who applaud his efforts to raise environmental awareness. 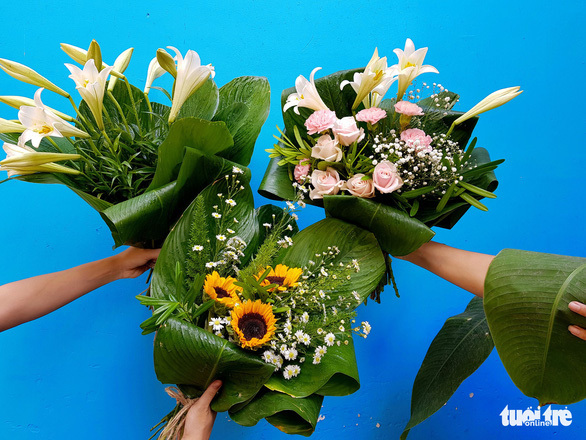 Using leaves for wrapping bouquets not only helps the flowers last longer but also reduces costs by three times compared to using plastics, Vu said. “The whole bouquet is biodegradable so it’s environmentally friendly,” he said. 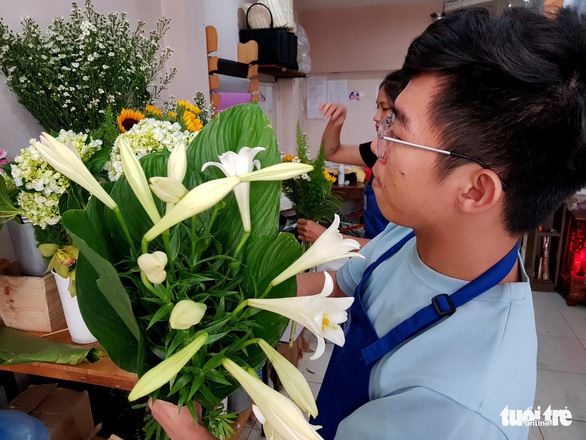 The eco-conscious florist said he plans to come up with more creative styles of wrapping flowers in leaves to meet customers’ demand, adding that he hopes other flower shops take the same initiative and switch to more eco-friendly materials. Major supermarket chains in Vietnam such as Co.op Mart, BigC and Lotte Mart have already begun using dong or banana leaves for packaging food packaging certain foods and have been praised for their efforts to save the environment.